The Law of Karma is infallible and everyone invariably is subjected to it. Sometimes we are oblivious to the fact that most of our lifetime is spent in undergoing destiny which is created by our karmas or deeds in our past births. As per the law of karma, every positive deed which we do, generates a ‘merit’; while every negative deed results in a ‘demerit or sin’ which subsequently we need to repay by enduring happiness or unhappiness. All major events in our life are predestined – for instance the family that we are born into, to whom we will get married etc. During our day-to-day interactions, we are either settling an old account or creating a new one. If an account is not settled in the present birth it is carried over to the next birth. Although, we are not consciously aware of the give-and-take karmic accounts generated in our previous births. In our subsequent births, we may or may not be equipped to settle our destiny and the paradox is that at the same time we are creating new karmic accounts. Thus, this loop of karma and destiny binds us and we remain entangled in it. The only way through which we can nullify our give and take account and destiny is through sustained and regular spiritual practice. In understanding the Law of Karma, we can see how spiritual practice can be useful to even those of us who have absolutely no spiritual interest and who only wish to be immersed in worldly pursuits. Even for those worldly relations to be fruitful they need to be insulated from destiny. 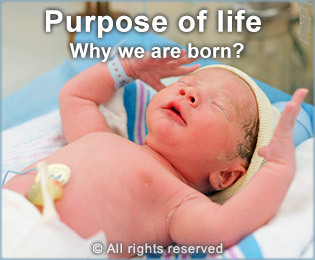 We have often wondered about the true purpose of life. In essence, the main purpose of life is to overcome karma (destiny) and attain God realisation. Getting liberated means that our destiny has significantly reduced and we are not compelled to take birth again. What is destiny and willful action? Most life events are predestined for example we are born to the family where we can maximally undergo and nullify our destiny and settle our give and take accounts with family members. 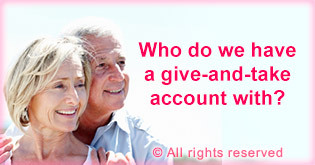 Usually we have the most give and take karmic accounts with our family members and close friends and relatives. 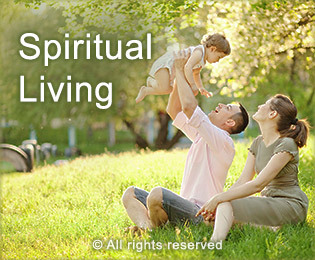 Did you know that the primary reason that you will or will not get along with your partner or spouse is spiritual in nature? While we may have given and received gifts all our lives, we may not be fully aware of the spiritual implications of giving and receiving gifts. By the Law of Karma, merits are acquired when we lead our lives righteously while we accumulate sins when we indulge in unrighteous acts for instance causing harm to others. All of us commit various sinful actions during our day-to-day activities. There are different sins such as who was affected by the sin, sins related to speech, collective sins etc. This article explicitly elucidates the punishment or consequences which we need to face when we commit a sin. It varies as per the sin committed. When we take atonement for any sin committed then we make an effort to diminish and absolve the effect of the sin committed. This article explains about how to take atonements. 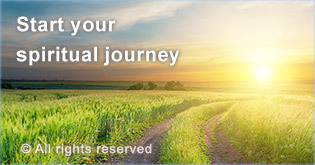 Learn what you can do to begin your spiritual journey (spiritual practice) and overcome destiny starting today itself. Chanting the Name of God is the easiest way to overcome karma and make spiritual progress. allows us to quickly overcome our karmic account. 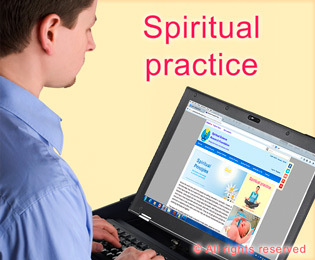 Mr. Arvind Thakkar explains how he overcame severe destiny through spiritual practice and Guru’s grace. Destiny (karma) governs all human life. Every person has to undergo the consequences of his actions. 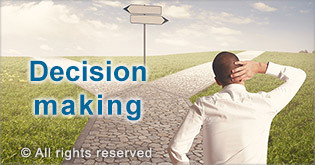 Learn how destiny (karma) can influence our decisions. "I also realised that Karma is similar to quicksand. If we do not use our free will towards spiritual practice and God realisation, we end up being fully sucked and captured by it.” – Mr AK. Understand the spiritual cause for major disasters such as the missing Malaysian airlines flight and the sinking of the Titanic. The doctrine of destiny makes an individual truly brave and capable of becoming a Saint.